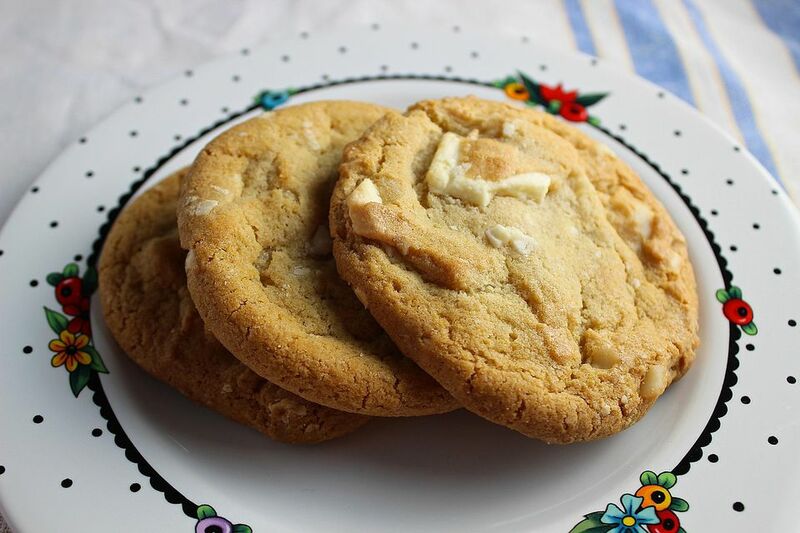 White Chocolate Cashew Cookies are such a rich and indulgent cookie. You could use other nuts in this recipe, but I think cashews are rich and perfect, especially if you use salted cashews for a sweet and salty flavor. 1. In ​a large bowl, combine butter, brown sugar, and sugar and beat well. 2. Add eggs and beat well, then add vanilla extract. 3. Add flour, baking soda, baking powder, and salt and mix well. Stir in cashews and white chocolate chips. 4. Cover dough and chill for 1-4 hours. 5. When ready to bake, preheat oven to 325 degrees F. Drop dough by heaping teaspoons onto ungreased cookie sheets. Bake for 9-14 minutes or until the cookies are light golden brown around edges. Let cool on cookie sheets for 3 minutes, then remove to wire rack to cool completely.